Our organization is one of the leading names in the market involved in rendering unmatched quality Circuit Board Repairing Services & SMPS repair and maintenance services. The services we provide are reliable and executed by our experienced technical team. Our expertise in the respective domain and use of advanced technology enables us to provide SMPS Power Supply Repair, SMPS Troubleshooting, Switch Mode Power Supply Repairing and Switch Mode Power Supply Repair services. These services are rendered at par with the set industry norms as per the client’s need. 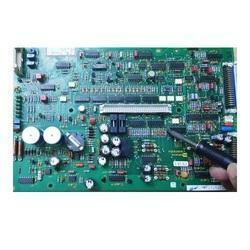 We offer maintenance, repair and installation Services of our offered products. 1. High starting torque of 150% or more. 2. Stable operation at low speed. 3. Non linear V/f pattern. 4. Wobulation & Pattern Operation. 5. Frequency setting potentiometer as standard. 6.Built-in RS-485 communications port (RJ-45) as standard. For any other information about the Ac drive feel free to contact us. 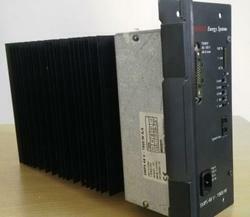 We provides expert service and repair for power supply modules. We are an electronic engineering company specializing in component level Repair and Reverse Engineering of power supply and obsolescence solutions. USA(United States), UAE (United Arab Emirates), UK, Saudi Arabia, Malaysia, Sri Lanka, Australia, Argentina ,Austria , Bangladesh ,Belgium ,Bahrain ,Brazil, Bhutan ,Belize ,Canada , Switzerland, Cameroon , China, Colombia, Germany ,Denmark , Egypt, Finland, France ,Greenland, Hong Kong , Hungary , Greece , Indonesia, Ireland , Israel ,Iceland , Italy , Jamaica ,Jordan , Japan, Kenya , South Korea , Kuwait , Sri Lanka, Morocco ,Mauritius ,Maldives ,Mexico, Malaysia, Netherlands, Norway, Nepal , New Zealand, Oman, Philippines, Portugal ,Poland, Qatar, Russia, Saudi Arabia, Singapore, Thailand, Turkey, Taiwan, Tanzania, Ukraine, United Kingdom ,South Africa, Vietnam ,Zambia and Zimbabwe. Power Transformer Repairs and maintenance service Transformers testing and analysing service services and support for electrical substation and wind generation power plants. 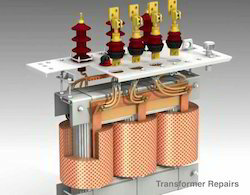 With more than 15 years experience, we have the right staff and expertise to provide the best service, maintenance and repair of any equipment in the field of power transformers. Services We offer¿¿¿Transformer oil analysis and transformer oil test services include dissolved gas analysis, ¿¿ Authorized repair facility for many brands of servo motors , servo drives, VFD, Robotic controllers, Component level Repair for High Value Electronics circuit Repair Services Asset Managment ,Aftermarket service contract Annual Repair Agreements & Rate contract for Field Maintenance Rehabilitation of PCB Modules ,Legacy and obsolete cards Replacements Third-Party Preventive ,Corrective,Predictive Maintenance Annual maintenance service Scheduled and Brake down Maintenance New & Refurbished spare parts Sales ¿¿ Our major Support countries are USA(United States), UAE (United Arab Emirates), UK, Saudi Arabia, Malaysia, Sri Lanka, Australia, Argentina , Bangladesh ,Belgium ,Bahrain ,Brazil, Bhutan ,Belize ,Canada , Switzerland, Cameroon , China, Colombia, Germany Denmark ,Gulf , Egypt, Finland, France ,Greenland, Hong Kong , GCC , Greece , Indonesia, Ireland , Israel ,Iceland , Italy , Jamaica ,Jordan , Japan, Kenya , South Korea , Kuwait , Sri Lanka, Meddle east , Morocco ,Mauritius ,Maldives ,Mexico, Malaysia, Netherlands, Norway, Nepal , New Zealand, Oman, Philippines, Portugal ,Poland, Qatar, Russia, Singapore, Thailand, Turkey, Taiwan, Tanzania, Ukraine, United Kingdom ,South Africa, Vietnam ,Zambia and Zimbabwe. Please call or email to get more information about our capabilities. 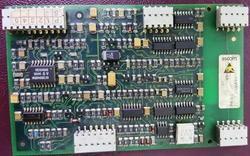 Looking for Circuit Board Repairing Services ?